Typical wild type Secale sp. grains from Jerf el Ahmar. 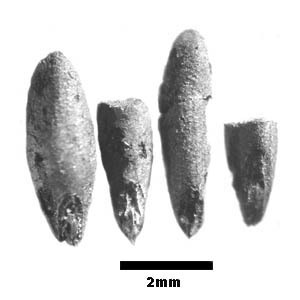 These examples were found associated with Secale type spikelet bases.